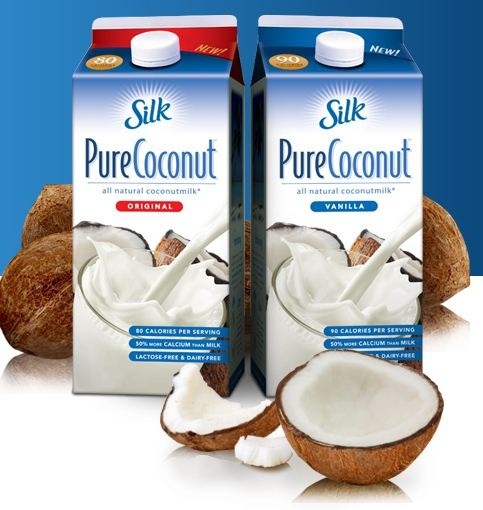 The first week of December was the week I began a love affair with unsweetened coconut milk. I've purchased the thick, syrup-py canned variety, but didn't realize you could get cold, fresh coconut milk in the organic refrigerated section of the food store. I know... Where have I been? Everyone else has already discovered it. I read that Biggest Loser coach, Jillian Michaels discovered it in 2009 and became a spokeswoman for So Delicious. Okay, I'm a little slow. But can I just say, wow! Better late than never. I usually start the day with a small glass of coconut milk... just to get the blood flowing. It has way less sugar than OJ. I am eating it on my cereal if we're out of greek yogurt. I've made smoothies and a chai-style health-benefit tea with it as well. I'll pass you the tea recipe when next we meet. You're going to need it during cold and flu season. 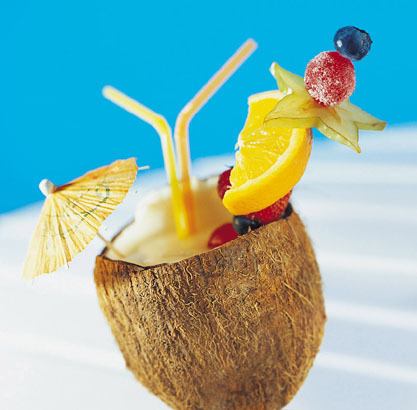 Here is the coconut skinny, the low-down... the gospel according to Wikipedia: Two grades of coconut milk exist: thick and thin. Thick milk is prepared by directly squeezing grated coconut meat through cheesecloth. The squeezed coconut meat is then soaked in warm water and squeezed a second or third time for thin coconut milk. 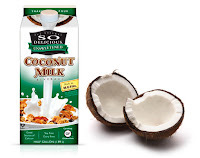 There is an enormous difference between canned coconut milk and the coconut milk beverages found in cardboard containers in the dairy case along with soy milk. 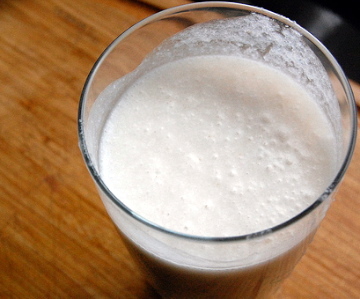 Refrigerated coconut milk beverages contain a fraction of the fat and calories found in canned coconut milk. My friend, Michelle prefers hers sweetened. I'm fine with Silk brand's sweetened, Original Pure Coconut Milk, but LOVE the unsweetened one by So Delicious. Even with zero grams of sugar, the flavor comes through without overpowering you. Refrigerated coconut milk has fifty percent more calcium than cow's milk and is lactose free if you are sensitive to that. It contains no cholesterol. Two percent cow's milk can have up to twenty percent. Sorry, Dairy Council:( I still love cows... They have lovely eyes. You can find it cold in half gallons, or in one of those shelf-stable cartons. I watch for them to go on sale and keep a few in the pantry.